Whether you’re staying for a night or two in Williams, or just driving through, do yourself a favor and stop by the Historic Brewing Barrel and Bottle House at 141 West Railroad Avenue in the historic downtown core of this quaint little gateway to the Grand Canyon. 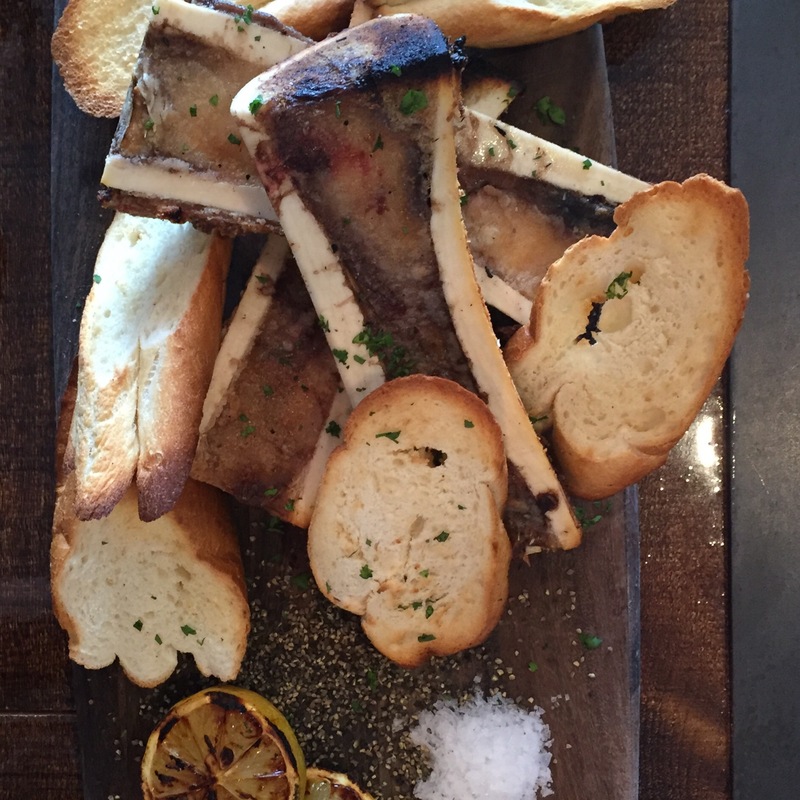 The marrow, presented on the half bone, on a board with sea salt, black pepper and grilled lemons, this is one of the most beautiful presentations I have witnessed when it comes to this gastronomic trend. Even if this isn’t your idea of deliciousness, the rest of the menu will not disappoint. I don’t even drink beer and some of the options sounded good. And after, you can walk off whatever you eat, browsing the various shops that line this remnant of Historic Route 66. ← …to Strand Vista Park (or Salt Creek Beach).